The Visian implantable contact lens is a state-of-the-art refractive error solution that is ideal for anyone who has the need or desire for quality vision correction. Are nearsighted, including those with mild, moderate, and severe myopia (-3D to -20D prescription). Have proper anterior chamber depth and acceptable eye tissue cell density (this will be determined by Dr. Brems after a comprehensive eye exam). Patients seek the Visian ICL because they expect the highest quality of results from their refractive vision correction procedure. The advantages make the Visian ICL a sought after treatment for nearsightedness. High quality of vision - The Visian ICL not only improves your visual acuity, but it also enhances your quality of vision by producing sharp vision. Wide treatment range - In comparison to other refractive procedures, the Visian ICL offers the widest treatment range for treating myopia (-3.0 diopters to -20.0 diopters). Foldable - Because the Visian ICL is foldable, a small incision is required during the procedure. This feature makes the procedure efficient (no sutures needed) and improves healing time. Invisible - The placement of the Visian ICL into the posterior chamber of the eye makes the lens invisible to both the patient and any observer. 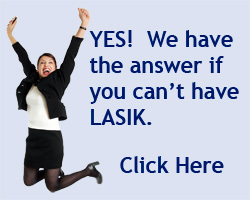 Rapid Healing - The time required heal after Visian ICL procedure is much faster than LASIK. 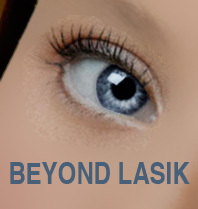 Patients enjoy functional vision even on the day of the procedure. Proven track record - Implanted in over 65,000 eyes worldwide, the safety and amazing improvement in vision quality of the Visian ICL has been proven over the last 15 years.